"Chapman University School of Education graduate students, 2000." Chapman University School of Education graduate students, 2000. 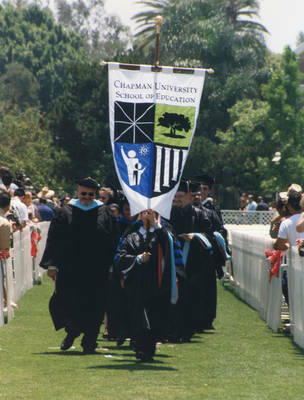 Chapman University School of Education graduate students with banner, Commencement, May 27, 2000.